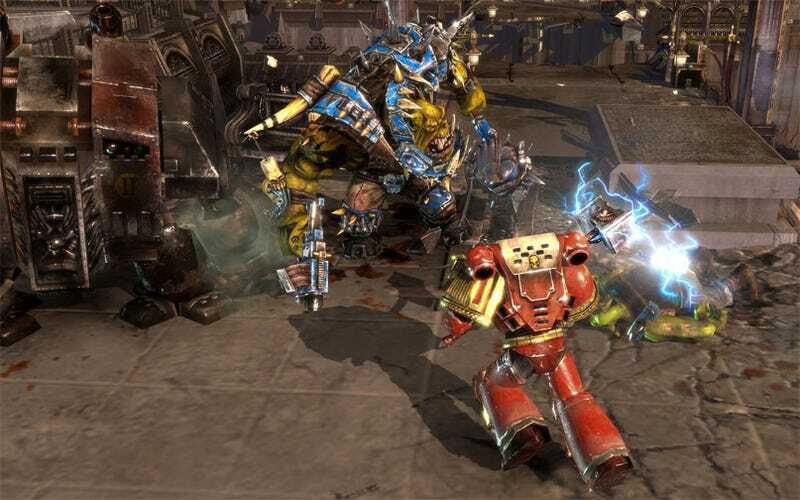 Sometime in "early May", developers Relic will be releasing a major new update for their RTS/RPG hybrid Dawn of War II, which will introduce a range of new features for the game. These include an all-new multiplayer mode (2v2), two new maps to support this mode, improved skirmish AI, push-to-talk voice chat, new "squad decorators" and "significant UI improvements". New squad decorators? You know, Relic, being able to paint each squad individually would be awesome. Those are apparently just some of the additions being made to the game, with Relic to reveal more over the coming days/weeks.